For many Canadian students, the jump from high school to post-secondary education is a thrilling transition into adulthood, but one that comes with new financial responsibilities. This year, we are pleased to offer 50 scholarships worth $1000 each to students who have an auto or home policy through Johnson (or their parent/guardian or grandparent), or have a parent or grandparent who is a member/employee of a Johnson sponsor/client group, or who are children and grandchildren of Johnson employees. Students must have completed high school in 2016 and must be beginning post-secondary education this fall. 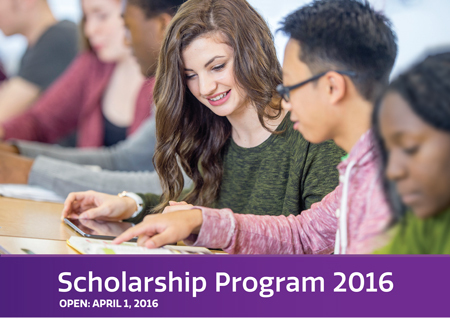 Applications for the Scholarship Program will be open starting April 1, 2016. Completed application forms must be submitted by August 31, 2016 and must contain an official school transcript of final year credits. For more information, or to apply for a Johnson Inc. scholarship, please call or visit 1.866.544.2673 | johnson.ca/scholarship. All Canadian Pioneers members are eligible to apply (for themselves, their children or grandchildren) regardless if they have an insurance policy with Johnson or not. They do need to be a Canadian Pioneers member, a Bell Aliant Pioneers member or a SaskTel Pioneers member though and this will be verified prior to scholarships being awarded. New Pioneers members can join any of our Canadian Pioneers groups by visiting www.telecompioneers.ca and clicking on the membership tab or by visiting your local websites.